Home is where your heart is. It’s the hub of activity or an embracing escape. It is a reflection of your life and your style. That’s why we take the utmost care to create custom built homes to suit each homeowner’s unique needs. Our award-winning team will ensure every detail is designed with your dreams in mind. Consistently recognized for its vibrant community, quality education, exceptional amenities, and ideal proximity, Edina sets the stage for metropolitan living at its best. Now Carl M. Hansen Companies is pleased to offer a limited number of sites in one of Edina’s most desired neighborhoods. West Ridge Farm—set in Parkwood Knolls’ lush 90-acres—presents the last opportunity to build a custom home in this highly desired location. Perched on one of the highest points in Edina, West Ridge Farm offers serene bluffs and meadows, stunning sunsets, and panoramic views. Spacious building sites provide ample privacy and abundant sunshine. It’s an ideal setting for discerning families seeking the advantages of a new custom home while enjoying the benefits of living in an established neighborhood. industry standards and your highest expectations. Discover luxury living in a stunning family-friendly setting, and build memories to last a lifetime. West Ridge Farm in Edina's Parkwood Knolls is over 90 acres of bluffs and meadows basking in western sunsets. Perched at one of the highest points in Edina, West Ridge Farm has panoramic views of the southwest metro. Visit West Ridge Farm in Parkwood Knolls and envision your dream home in a unique new neighborhood. 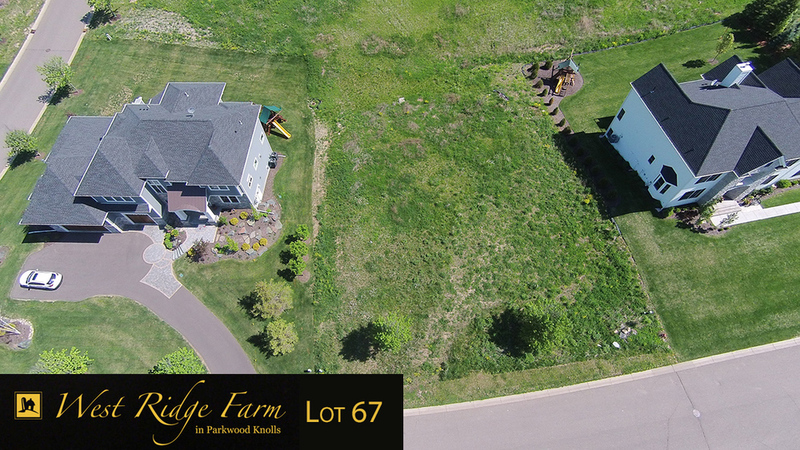 West Ridge Farm is perfectly situated on the western bluff of the idyllic neighborhoods in Parkwood Knolls . This unique community offers spacious building sites, stunning views and abundant sunlight. West Ridge Farm is ideal for those discerning families that desire the benefits of a custom built home in a neighborhood of existing families and a location that is second to none. As a first ring suburb, Edina is conveniently close to downtown Minneapolis and the International airport. Current residents attend Edina Public Schools, The Blake School, Breck School, and St. Paul Academy.